Designed for professionals with limited counter space and perfectly sized for brow waxing. 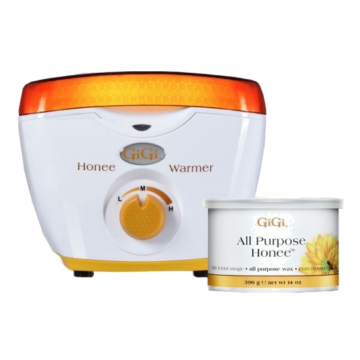 The temperature control knob ensures wax temperature is optimal no matter the wax formula. Also featuring a removable, see-through lid, separate on/off switch and indicator light. Intended for all-day use. Heats Wax in under 30 minutes.